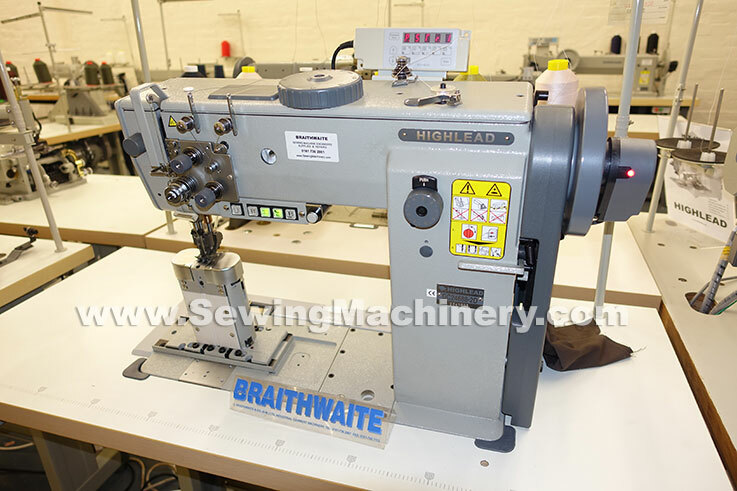 Highlead's GC24688-2D "top of the range" twin needle walking foot post-bed lockstitch sewing machine fully equipped with automatic thread trimmer, automatic reverse, automatic foot lifter, stitch program, dial adjustable walking foot, quick stroke adjustment, automatic lubrication and electronic servo needle position motor etc. For use in many sections of the heavy duty industry including the manufacture & topstitching of high-end house hold upholstery, office furniture, car upholstery & interiors, leather goods, filters, technical textiles, plastic and laminated products etc. 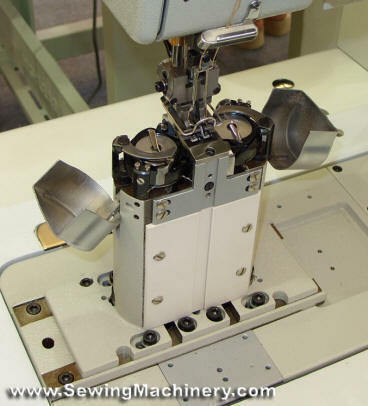 The post bed design gives you greater access and control when sewing decorative (top stitching) & functional stitching on shaped or 3d items, which would normally be difficult or impossible to sew on a standard flat bed machine. Its heavy	duty triple feeding action by way of: bottom feed, needle feed and walking foot top feed, guarantees effective handling of medium/heavy weight materials and fabrics. Designed to meet high quality and high performance demands with expert operator aids and devices fitted as standard. 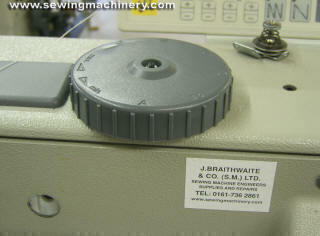 Optional pneumatic seam centre guide available combined with special sewing foot. Machine supplied complete on unit stand with slant base board and world class electronic control system and servo drive motor manufactured by Mitsubishi of Japan. 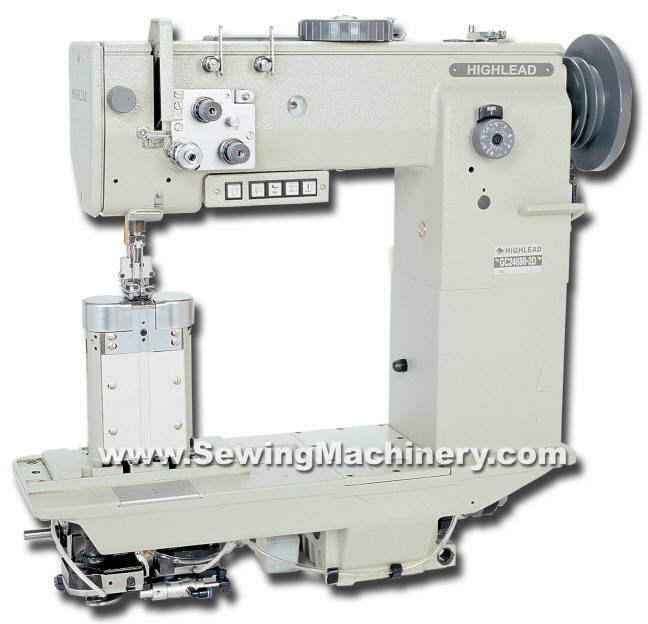 foot movement and automatically sets the corresponding sewing speed. Bottom and needle feed + top walking foot feed. Easy under arm operator controls. Mitsubishi HD needle position servo motor.